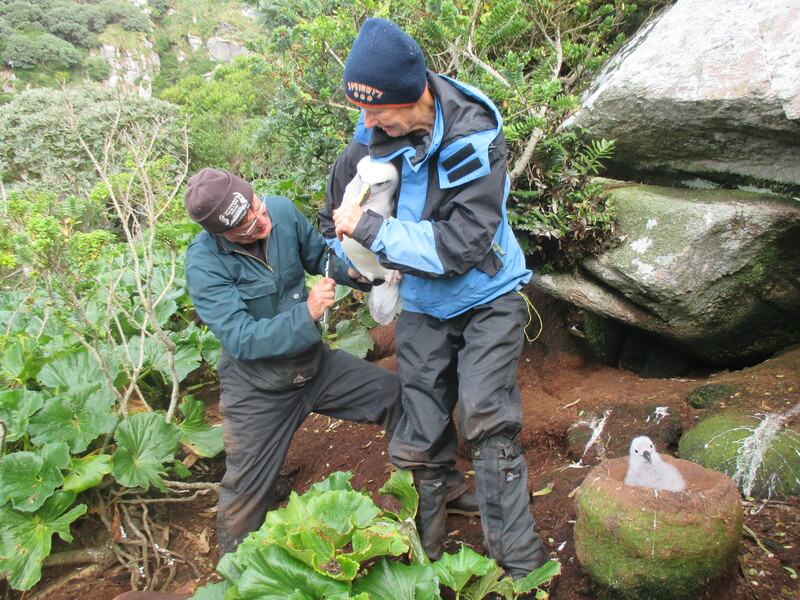 An annual southern Buller's albatross census on the Snares Islands has been successful with more breeding pairs counted and banded. These remote islands, 120 km south of Stewart Island, are home to the main breeding grounds for this endemic albatross. The survey was undertaken by scientist Paul Sagar, who like many of these beautiful birds, has been returning to the Snares Island annually since 1992 to gather data on their breeding activities. “This year’s increase appears to have resulted from an increase in the number of young birds entering the breeding population,” Sagar said. "In 2017 we recorded 247 previously banded ‘breeding adults’ and a further 56 were banded as ‘first-time breeders’. 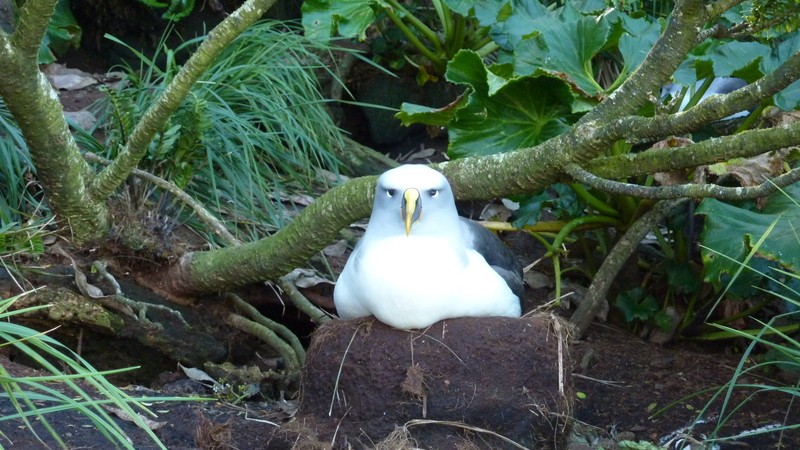 Sagar added one bird banded as a chick in 1972 returned again in 2017 and is 45 years old, the oldest recorded southern Buller’s albatross. This year’s survey was funded by Deepwater Group, a non-profit organisation representing deepwater fishing quota owners. Deepwater Group’s Richard Wells said Paul’s research is important to New Zealand, to industry and to the international conservation of these birds. “This an invaluable dataset to track how the population is growing and to inform whether or not these birds are in need of further support. We are heartened that their numbers appear to be relatively stable and high,” explains Wells. “We have been working hard to reduce the risks to seabirds from fishing and Paul’s work helps us to understand if these measures have been effective, as well as informing us on many other aspects of their biology and health. Very few people get to land on the protected Snares Islands (it requires a special research permit from DOC to do so, in order to protect these untouched habitats) but you can view Paul and his team studying these albatross on a recent episode of Ocean Bounty.